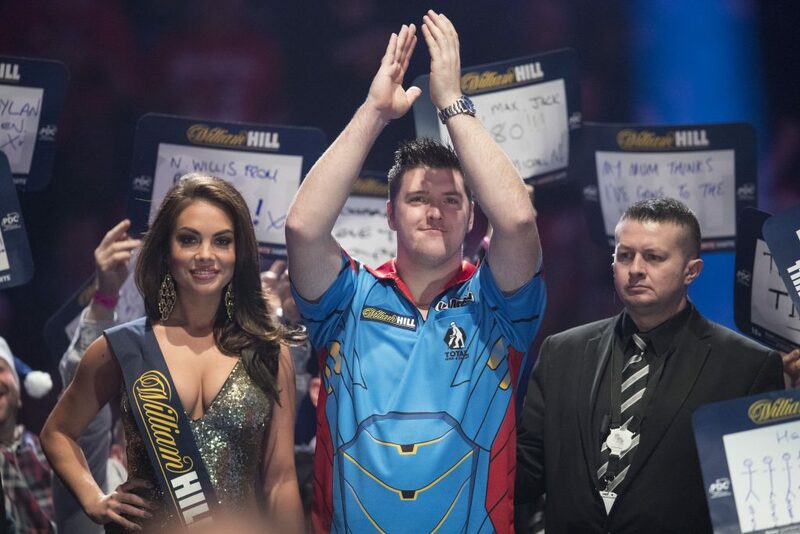 The 2019 William Hill World Darts Championship kicks off on the 13th December 2018 and will be the biggest darts event ever staged, with some 96 players playing over sixteen days with the final being on New Year’s Day. 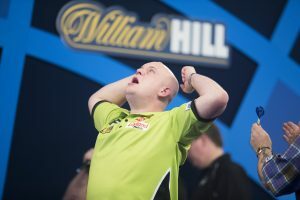 The first prize of £500K, yes half a million pounds, puts this event up there with other top sports and is a life changer for the winner, like it was for 2018 William Hill World Darts Champion Rob Cross. 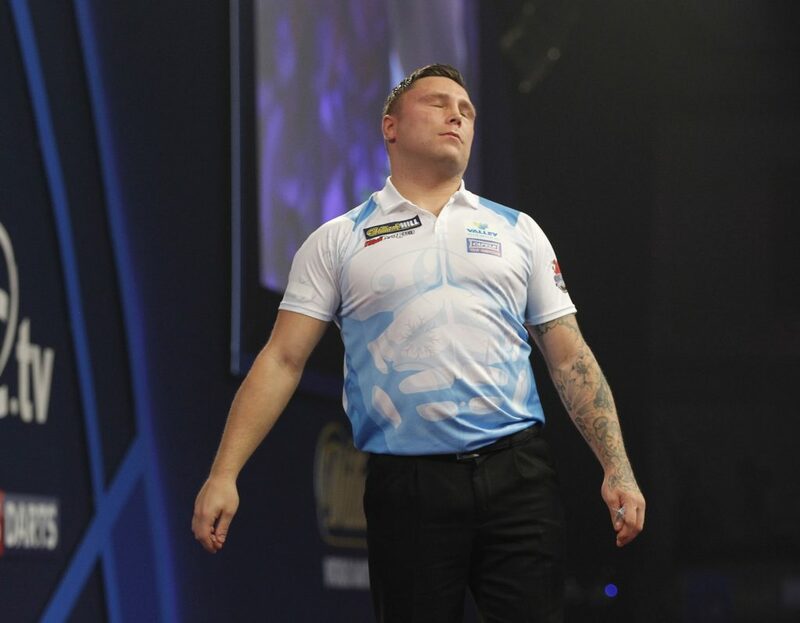 There are a few players that could come out of the pack to claim this title, so here’s my run through of the top contenders in William Hill’s World Darts Championship outright betting odds. The world number one starts off as favourite in the betting, as he has done in every event for as long as I can remember. He’s drifted out to 11/8 to win this year’s championship, the first time for over a year that he has gone into any tournament above EVS. Yes, he is not playing as well as he was – lost that bit of edge – but he is still the man to beat. 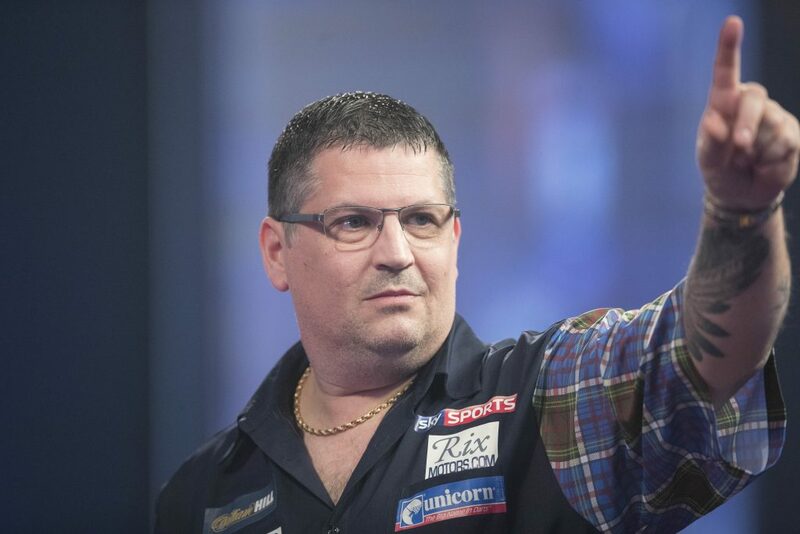 I said he was my pick a while ago now so I’m still sticking with him as I can only see Gary Anderson upsetting the odds and they are on a collision course to meet in the semi-finals. Although MVG has lost that bit of edge he still has the scoring power, with only Anderson able to consistently match him over a long distance. His checkouts may not be as good as they were. However, he will be totally prepared for this one and his set up shots will also be on point. All in all, you will not see better odds about the two-time champion, so jump on it now as they will only get shorter. The Flying Scotsman has had a very good year despite not playing any European events. This does cause its own problem in that he meets MVG in the semi-finals again. When he is on form, for me, he is the only one that matches Ven Gerwen. His scoring power leg-on-leg is exceptional, his doubles and set-up shots are as good as they ever were, however, if we are looking for flaws, then we have to say that he gets upset when a player slows him up. The other players now know this and could, like Gerwyn Price, take advantage, making him lose his concentration. A focused Ando is a winner though and he loves this stage. I have to say I have not got Snakebite as the third favourite as he is certainly not on his game at the moment. He seems to have messed around with his darts too much and, although over the past few years it has not upset his confidence, it’s possibly the problem now as his stats are quite away from where they were. I have no doubt that Wright will have been on the dartboard sorting out his problems and his first game is essential for him. The only thing that will take him forward into having a run at this event is a good start, with some good stats as a mediocre win with bad stats will not do him any favours for moving forward. This player has the talent to win this event but he does have a problem with concentration over long periods of time. The scoring power is as good as anyone and so are his set-up shots but he messes around on his doubles at times. In this set play format that odd leg could mean losing a set, a totally different game to the straight leg format. Cross is certainly not playing as well as he was this time last year and I think it’s down to the pressure of being the world champion. He was chucked in at the deep end and really did not know how to cope with it. Personally I feel that that a year without being the champ will do him a favour. His performance last year was exceptional with a solid all-round game that matched them all. That form could see him double up, however, he needs to up his game more consistently to lift it for a second year. There will be plenty of Europeans having a flutter on “The Gentle” at decent odds. He has a very good all-round game with his doubles being the catalyst to most of his wins. He is so good at taking them out that other players sometimes panic about even giving him a chance, and quite rightly, as he possibly has the best stats in the game at nicking legs from other players. Let’s not forget he also posts plenty of 100-plus averages so he does have the scoring power. The only reason Gurney is not third favourite is because he is in the same half as both MVG and Gary Anderson. If he was in the other half then you would have given him a serious chance of winning this. That said, he has just won the Players’ Championship Finals, beating MVG in the final with great stats so he cannot be discarded for winning this at each-way odds. He, like many others, has great scoring power but, like Smith, does tend to miss plenty of darts at the double in odd legs and that is always costly when closing out sets. Wade has had his best year for a long time and is coming into this event in good form and a great mind-set with two TV wins under his belt. He has upped his scoring power and he is always, like Suljovic, very dangerous when his opponents miss doubles as he is one of the best in the world at checkouts just over the 100. Price is playing the darts of his career. Winning the Grand Slam proved that, and let’s not think that his tactics alone were why he won as the stats stacked up all the way through. I admit that he did get in the face of Anderson which helped him win the final, however, he comes from a rugby background where he gets in your face and lets the adrenalin take over at times. That fires him up to play better and, if he can show more control when he celebrates, then he could have a good run. That’s my round up for this year’s William Hill World Championship and I see the winner coming from MVG or Anderson and I have said MVG for a while now, so get on the 11/8. What about the nine-dart finish odds? The nine darter. Yes, I know I keep banging on about it, however there are 95 games being played this year and I am positive that there will be at least one, and William Hill obviously think that also with the odds they have sent out, so why not have a couple of quid on there being two or more at 7/2. Click here to create a William Hill account; we’re offering new customers £30 in free bets when you bet £10 on any game.